There are only about 300 craft beer breweries in Brazil and the cost of a craft beer in Brazil is about three times the costs of a traditional Brazilian lager. Yet Brazilians are demanding more fueling a kick-start to the craft beer industry there. It's a great time for beer drinkers all over the world. I love Brazil! and I have been there many times. 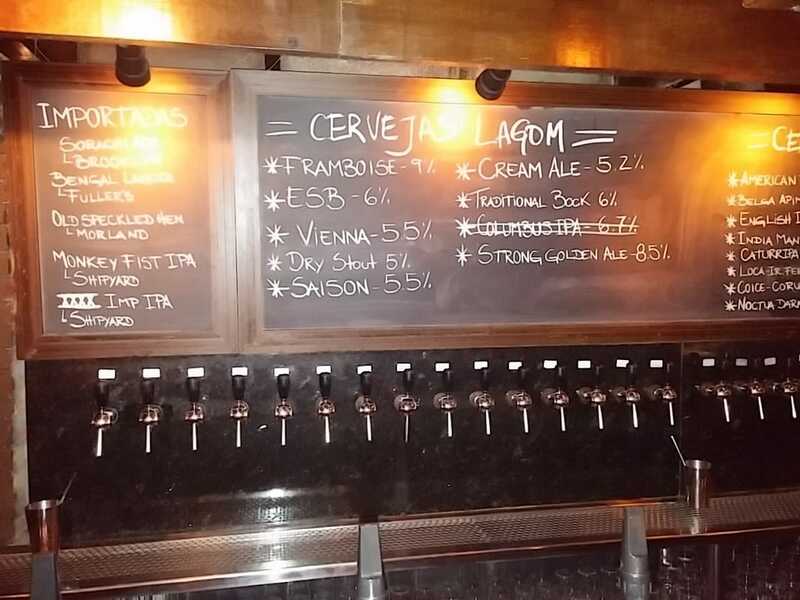 This was my first trip to Porto Alegre and I was only there overnight, so I was very fortunate to find a really good brewpub just a short walk away from my hotel - Lagom. This is a great place and has all the things I love about Brazil - Great people, great food, great music and cold beer. No English was spoken here when I visited. 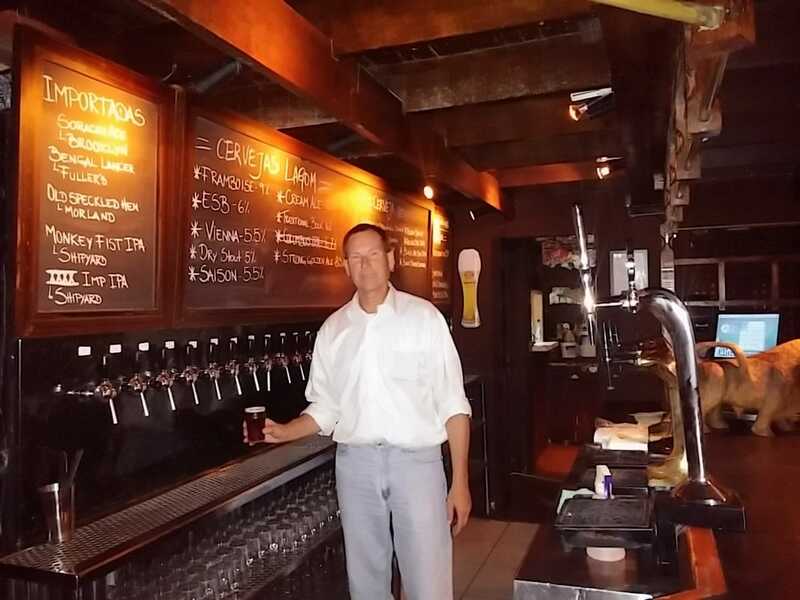 I engaged in a nice conversation with the bartender and he snapped a photo of me behind the bar. With plenty of beer on draft, they offer their own beer, regional beer as wells as a selection of international craft beer. Saudade do Brasil! 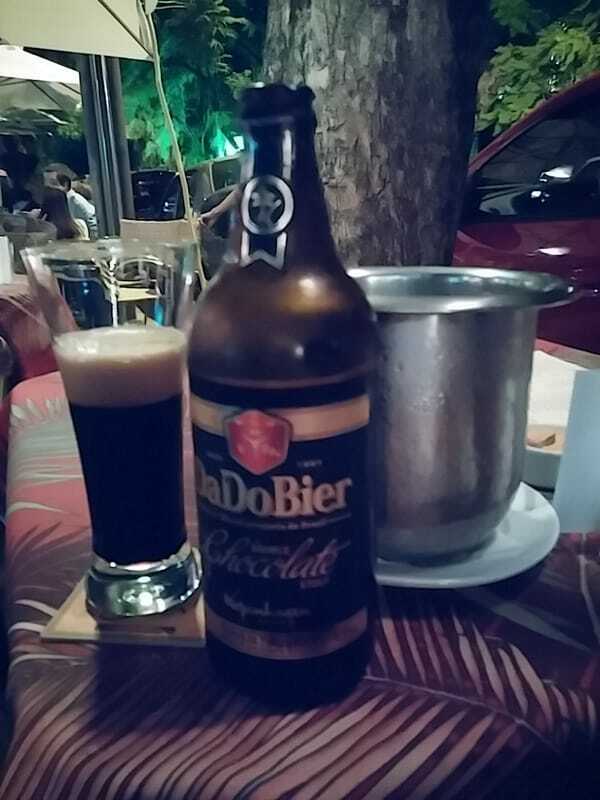 Dado Pub is a chain restaurant in Porte Alegre selling DaDo Bier. Unfortunately, I did not find the beer all that appealing. One of the beers I had was similar to the typical light Brazilian lagers you find everywhere and the other two beers were almost flavorless. They have a very nice Brazilian pub-style food menu.